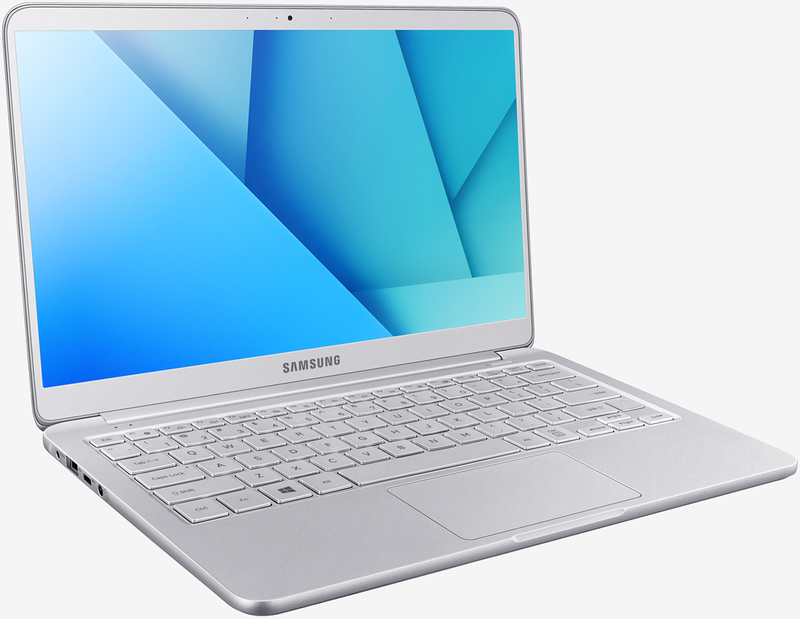 Samsung at the 2016 Consumer Electronics Show announced two new additions to its Notebook 9 series of lightweight laptops. This time around, the South Korean electronics giant isn’t waiting until January to let the cat out of the bag. On Monday, Samsung took the wraps off refreshed versions of its 13.3-inch and 15-inch Notebook 9 laptops packing faster hardware and a slightly different look. Like the models they’re replacing, the latest Notebook 9 systems are incredibly lightweight. The smaller machine checks in at just 1.8 pounds which, according to Samsung, makes it the lightest notebook on the market. The 15-incher, however, may be even more impressive as it tips the scales at only 2.17 pounds. Apple’s slim MacBook with a 12-inch display, for comparison, checks in at 2.03 pounds. As for hardware, the new Notebook 9 can be configured with up to a seventh-generation Intel Core i7 processor with integrated graphics, 16GB of RAM and 256GB of solid state storage. Bluetooth 4.1 and 802.11 ac 2x2 Wi-Fi come standard, as do the dual 1.5-watt speakers, 720p webcam, fingerprint sensor and backlit keyboard. Both systems include two USB 3.0 ports, one USB Type-C port, a microSD card slot and headphone / microphone jack. They’ll ship running Windows 10 Home in just one color which Samsung calls Light Tan. Battery life is rated at up to seven hours on a single charge, we’re told. Aside from the shared graphics, the only thing that really stands out as being ho-hum is the 1,920 x 1,080 resolution display. Given the size of the panels, however, this likely won’t be a deal-breaker for most prospective buyers. Samsung hasn’t yet revealed how much the newcomers will cost or when they’ll go on sale. These details and more will likely emerge at CES 2017 a few weeks from now.